Come and join us in Swansea City Centre on Saturday 31st March between 11am and 4pm for our Big Easter Egg Hunt of Swansea. The Easter Bunny is sad! He has lost his password for the Big Heart of Swansea App and he needs your help to find it! Join us at The Grand Theatre from 11am to get your first clue and hand in your Easter Egg designs (click here for details of our Design Your Own Easter Egg Competition and the chance to win a holiday courtesy of Leisuretime). This Easter The Big Heart of Swansea and Swansea BID are giving you a chance to win a family holiday for 4 courtesy of Leisuretime! All you have to do is collect your Egg Design Template from any of the participating businesses listed (or download it here), get arty with your own design and return to The Grand Theatre Reception by 2 pm Thursday 5th April. 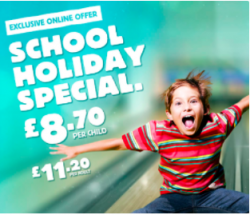 Ten Pin is offering a special Schools out ONLINE package for 6 to keep everyone entertained and fed this holiday! The package includes 2 games of bowling and a burger for adults and children! This offer is only valid from Monday – Friday until 5PM during Easter holiday. Prices: £8.70 per child & £11.20 per adult Click HERE to book now!! 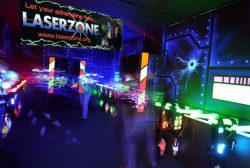 Every Sunday Lazerzone turns into Kidzone from 10:30AM – 12noon and is only for under 16s! Let the children explore the dark adventure of Lazerzone. Price: Minimum of 3 games £7.50! We know just how temperamental the weather can be in Wales. So why not make some plans for the cold and wet days! Cozy on down in one of our favoritee places in City Centre! Their unique set up allows families to hire wooden crates with cushions and blankets to cwtch up with the family! 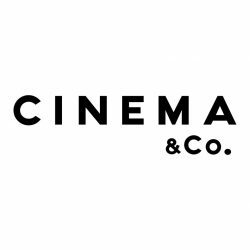 Don’t forget you can enjoy a FREE Tea or Coffee with every cinema ticket purchased by showing your Big Heart of Swansea App/ Card! 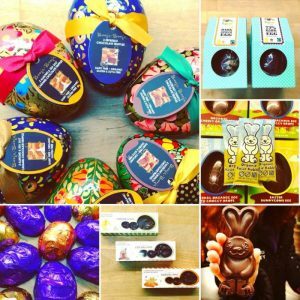 Brontosaurus avegan eggsre offering a range of vegan chocolate Easter eggs and they just look delicious! They have lots of peanut butter eggs from The little Vegan Bakery but if peanut is not your thing don’t worry! They are also stocking cream and caramel varieties. From the 3rd – 5th April you can take part in exotic animal rescue at Plantasia. There will be 4 sessions a day at 10:30am, 12:00pm, 2:00pm & 3:13pm. 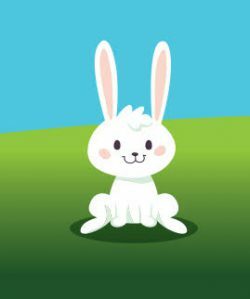 This is the perfect interactive educational animal show for your little ones! 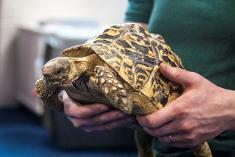 They will get the opportunity to meet some friendly rescue animals such as smuggled tortoises, stowaway insects and giant reptiles. These animals grew too big for the average home! Price: £4.50 per Child ( Under 3 Free) £5.50 per adult. 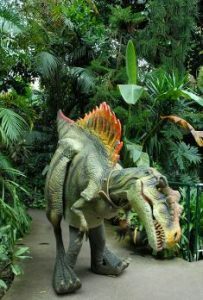 8.From the 9TH April until the 13th April Plantasia will be hosting a Dinosaurs in the jungle event. There will be 4 sessions per day at 10:30am, 12:00pm, 2:00pm & 3:15pm. There will be lots of fun-filled workshops with games, a dinosaur dig to discover amazing fossils and a new baby dinosaur hatching egg mini show! The perfect opportunity to meet Chop the Raptor, Trixie the Triceratops and Bradley the Brachiosaurus! How does a challenge sound? Something you and the children can get stuck into?? 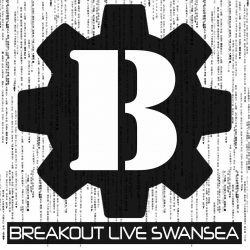 Breakout Swansea can keep the Brains working this Easter Half Term! In teams of 2-6 you need to find the clues, solve the puzzles and work as a team to escape! Let the Kids get a little creative whilst playing with this messy sliiimmeeee. Best of all its not in your home  Don’t forget all you have to do is bring along a tablespoon! Age: Only for children aged 5 or over and all children must be accompanied by an adult. 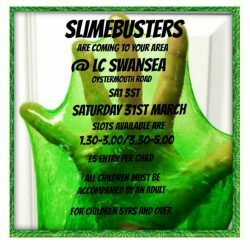 Visit Slime Busters Facebook page to register NOW!! 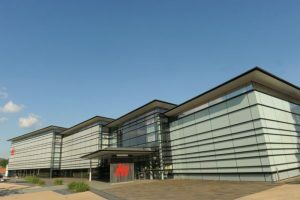 Join the National Waterfront Museum from the 30th March – 15th April from 10am – 4pm every day. 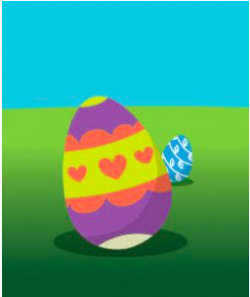 You can Eggsplore every nook and cranny of their galleries to track down hidden eggs! On the 30th March for a one-off Easter special family day out pop down to the Waterfront Museum. 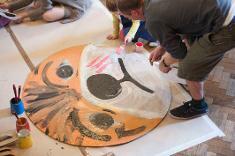 There will be lots of cool crafts for the kids, live music and a fun gallery trail! 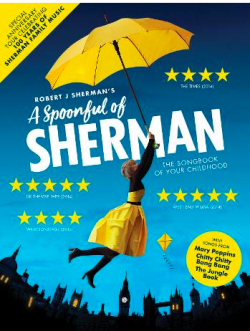 A spoonful of Sherman will be brought to life from the 5th April – 7th April at 7.30pm. Saturday matinee 2.30pm! Give the older children a lesson on your favorite TV tunes! Let them experience the classic music that once filled our screens! From Mary Poppins, Chitty Chitty Bang Bang and The Jungle Book. The perfect family night out where you can sing until your heart’s content! The Dylan Thomas Centre will be hosting lots of self- led play this half term! Activities will include Spring themed writing activities, making mini-comics, ‘ Dylan’s animals’ puppets, games, crafts and dressing up costumes! Click HERE to visit their events list! Every Tuesday during halfterm the Gallery hosts a FREE film screening! It starts at 10:30 am and ends at 12:3pm on the 3rd and 10th of April! The event is totally FREE but you do need to book in advance! Pop in with the whole family to get creative! Create a map of yourself using a range of different materials and techniques to show how you feel! You can also create Placards and banners to show everyone what makes you smile in this world! Last but not least Mask making using recycled materials! The whole family is invited to create giant paintings! Yes, that’s right GIANT! 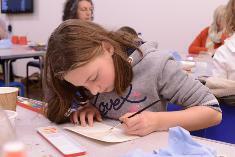 Get in your creative mood and make paintings which will pop off the page!